Now more than ever, Americans are opting to work out at home. Although gym memberships are on the rise, most people say that they get a much better workout in the privacy of their own home, and they can multitask while getting their heart racing. The treadmill is one of the most popular pieces of equipment in an at-home gym because it provides a great workout and is versatile. Therefore, it’s crucial a person choose one that compliments their fitness goals. They’re easy to use. For someone who’s just starting to exercise, a treadmill is a fantastic workout option, because it’s extremely easy to operate and it doesn’t require much skill. If you’re a workaholic and you cannot stand being separated from your laptop while you’re working out, you can opt for a treadmill desk, which allows you to reach your daily fitness goals, while you’re catching up with your e-mails. Helps you lose weight. Running on a treadmill for 20 minutes allows you to burn around 200-300 calories. Helps you keep track of your progress. Most treadmills come with digital monitors that allow you to see and save important health stats, such as distance, calories, heart rate, and time. Strengthens your muscles. 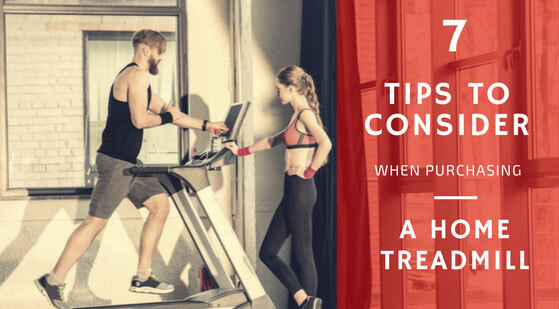 The large majority of treadmills have an incline feature, which allow you to tone your legs even more, and if you decide to workout without holding onto the handlebars, you can easily improve your arm muscles at the same time. Treadmills are great because a time-crunched person can work out on a treadmill for just 30 minutes a day and strengthen their body and heart health. In order to do this, however, a person needs to choose a high-quality treadmill that offers higher miles per hour, various incline options, heart monitoring, and programmable features. Nevertheless, if you’re on a tight budget, it’s still possible to find great treadmills under $200 by knowing what to look for. When you purchase a treadmill, you first need to decide what type of exercise you are planning on doing. Will you be walking? Running? Training for a marathon? Strengthening your leg muscles? Different treadmills offer different workouts. If you are a beginner though, you don’t need anything overly complicated. You can find a simple treadmill which offers walking or running options paired with an incline. That way you can start small and work your way up each and every day that you do it. If you are someone who is simply using a treadmill to get steps in, then make sure that you are looking for something sturdy, has a good belt size, and a nice shelf where you can keep a book or iPod to pass the time. You don’t need a treadmill with a high-powered motor if you’re not doing rigorous training. When purchasing a treadmill, you need to consider what type of features you want. If you plan on using your treadmill daily for weight loss, then you’ll want something that helps to keep track of your progress. Some treadmill models can save your fitness goals and download data from your phone. If you’re someone who gets bored easily, you can always search for various treadmill exercises and gradually work your way towards the more difficult ones, to make it more challenging. These also help target different muscles. You need to evaluate just how much room you have available in your home for a treadmill. If you’re tight on space, consider purchasing one that folds up and can be stored. If you have an at home gym, then opt for a sturdier treadmill with a long deck. Each style of treadmill has its advantages and disadvantages, you just have to figure out what works in your home. When you buy a treadmill, it will be in your home for a while. That’s why it’s crucial that you test out as many different ones as possible. You want to choose one that feels comfortable and sturdy. Make sure that the belt is wide and long enough to compliment your stride. Make sure that the arm rails are the right distance away and sturdy enough that you can grab on and run while feeling supported. If your doctor recommended a treadmill for your overall health, then you’ll want to take some precautions. Choose a treadmill that has a pulse monitor. This will help keep track of your heart rate. That way you can see just how rigorous your workout is and whether or not you need to adjust your speed and incline. Almost every treadmill has a display incorporated. This shows your speed, incline, minutes elapsed, heart rate, and more. You’ll want to choose a treadmill that as an easy to read and understand display. You’ll be keeping a close eye on it to make sure that you’re getting the best workout in. Therefore, you want to be able to understand what you’re looking at. Overly complicated treadmills with a ton of bells and whistles aren’t always the best option, especially if you’re a beginner. Buying the right treadmill for you and your home comes down to evaluating your own personal needs. Make a list of what you’re looking for in a treadmill and make sure that you never buy something without trying it out first. As long as you know what you’re looking for, you’ll walk away with a reliable treadmill that will be sure to last you for many years to come.